How to redirect to separate web page when the form is submitted? 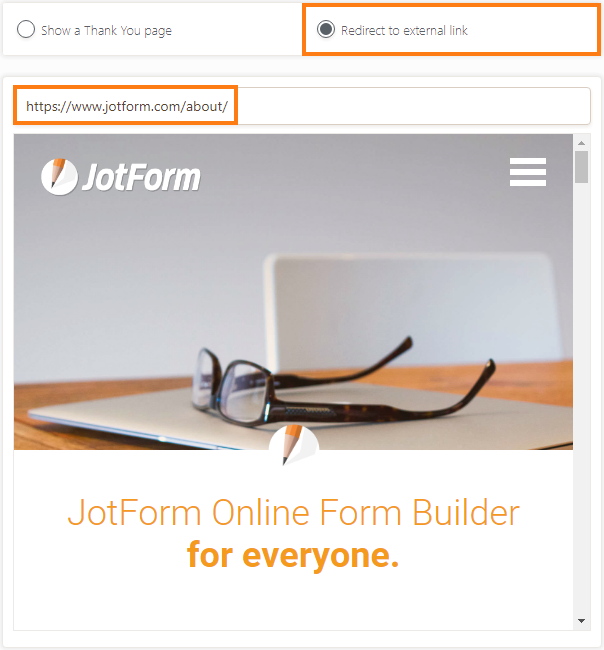 We have a contact form on our contact us page and currently when the user submits the form they get a "Thank You" page but I am wondering if there is a way to add a seperate URL to that or something I can incorporate into Google Analytics for goal completions. Right now it's just measuring when people visit the page but we aren't able to track actual site submissions. It is possible to redirect your form to a separate webpage after submitting the form by using the 'Redirect to external link' option in the Thank you page settings. You may add the Tracking code to the custom web page that is being redirected. Hope this information helps!